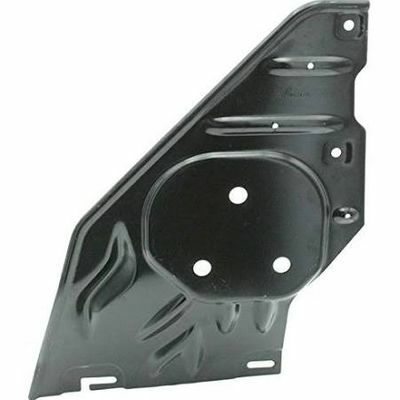 Skid Plates for the Jeep Liberty provide added protection when traveling off road. Made from heavy-gauge steel and painted with a high quality black powder coat finish. - Transmission, Steel, bridges the gap between front and transfer case skid plates, front skid plate (82210769) must also be installed. Please select skid plates above. quick & easy install , quick service, thanks! Ordering process was easy, delivery was timely and installation was less than 30 minutes. Skid Plates are heavy and solid and I foresee a much safer off road life for my wife's Jeep Liberty. And yes, she is fully aware that she has a Jeep and I assure you there are rocks in her future. I ordered all three OEM skid plates available for my 2006 Liberty Renegade. The included installation instructions were straightforward, even for an inexperienced DIY mechanic like me. I installed the plates by myself in the driveway in one afternoon. Great item to add to any liberty. Weather your just trailing it or up north fight the snow storms. ProsNice fit, not to bad of a install. ConsI think that all the bolts should be stainless. Some of the plates have voids where mud and snow can get trapped in. I filled mine with sprat foam insulation to keep the salt,snow and mud out. I also added a couple of coats of clear to help keep them nice.